kanye west | that's gank! Kanye West Stuntin’ in Cannes France! 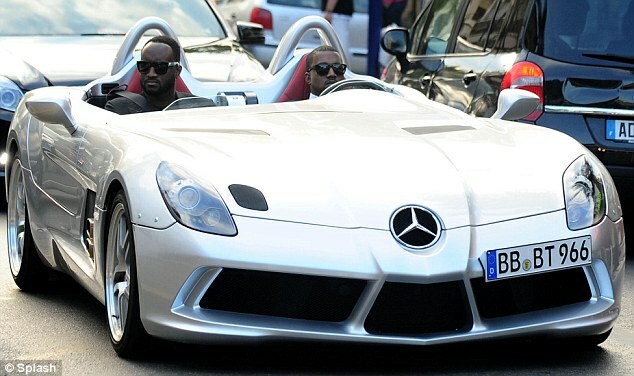 Kanye West drove around Cannes in style in a limited edition Mercedes McLaren SLR Stirling Moss. The car is reported to be worth $1.7m and only 75 cars were made. I think I would like a windshield. A band called ‘The Portland Cello Project recently did a double-drummer, orchestral- instrumental cover of Kanye’s ‘All of the Lights’ from his latest album ‘My Dark Twisted Fantasy’. This was performed at a sold out show in December at the Crystal Ballroom in Portland Oregon. Knowing Kanye, he will probably fly these guys out for his next show to perform with him. Kanye West celebrated the success of his latest album My Beautiful Dark Twisted Fantasy, by buying a custom made exclusive 18k yellow gold Tiret Watch. The watch itself cost about $180,000. I’s 18k gold with over 8 karats of yellow, black, brown and white diamonds, which were cut and placed to form an image of… Kanye West. 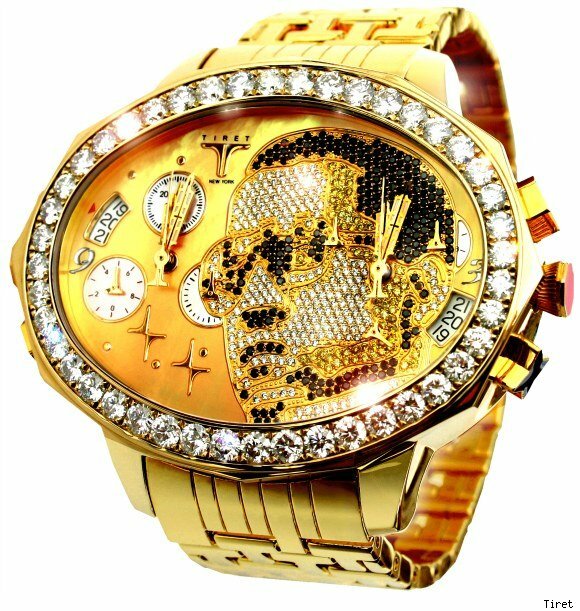 If I had Kanye kinda money, I’d have a wach with my face too.. don’t act like you wouldn’t.